In the neighborhood system, and in the nonprofit world in general, we often talk about “outreach”. 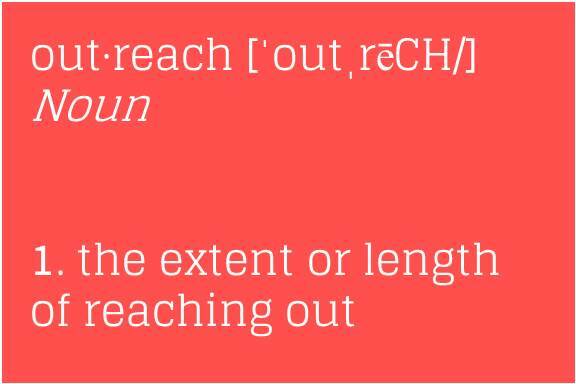 What we are doing right, what we are doing wrong, the fact that we need more of it… but what are we talking about when we talk about outreach? 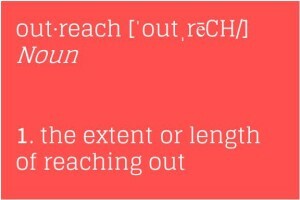 In reality, outreach is only a third of the whole marketing-equation and simply put, it is about visibility. So why does it dominate the conversation? If you work in the neighborhood system as a volunteer, or in a nonprofit as an employee or board member, then you know that visibility is everything. Or at least it can feel like it; especially when we live in an age where civic involvement has fallen by the way side and our memberships are, as we hate to admit, dwindling. But “what” are you making visible? “What” matters just as much, if not more, than total achieved visibility. For a moment, think about the products, activities and services that you are drawn to–What about their communications (tools: print, web, video, etc) appeal to you? How are they using text and language? How central are color, images and design? Perhaps it isn’t so much about the fact that they’ve reached you, but the aesthetic and message that they’ve used, that ultimately pulls you in. In the “Outreach and Communications” section of our SE Uplift website you will notice that we want to encourage neighborhoods, and anyone doing good out there in the world, to think about a more comprehensive marketing strategy, including but not limited to outreach. A solid marketing strategy will include three branches or focus areas; brand (identity, message), communications (tools) AND outreach (extent of reach your brand has). In the links on the Outreach and Communications home page you will find much of what you need to get started building a stronger presence in your community.